RustStop™ RX200™ has been tested independently under the international standards including the following organizations SABS ISO 7253. 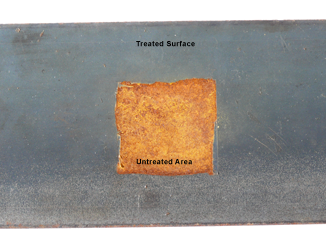 ASTM-B117* Salt Fog Test – 1,000 hours, no sign of any rust or defects. Salt Chamber Test – 250 hours, no affect on RX200 surface. Open Salt Air Test – 3,000 hours, no affect on RX200 surface.